Expensive handcrafted and unique leather products. Hand carved, tooled, dyed and hand stitched leather. Best exotic leather (alligator, shark, eel, fish, lizard) with legal permits. Custom orders made per your description and size in Toronto, Canada. 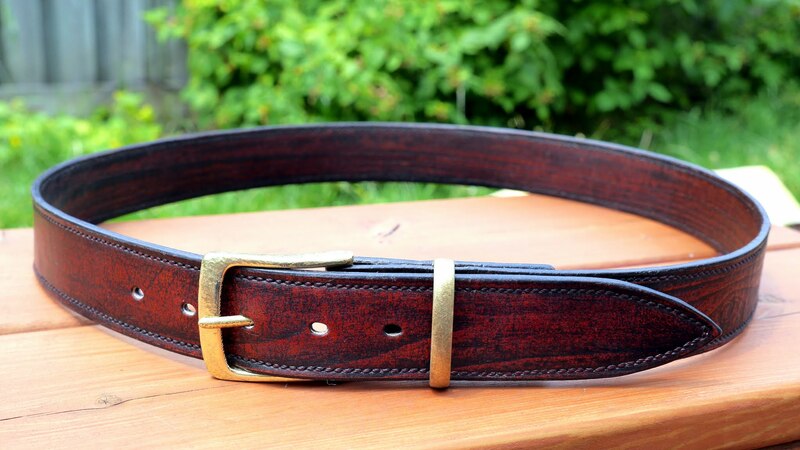 / Custom Order / Leather belt, a wood grain design. 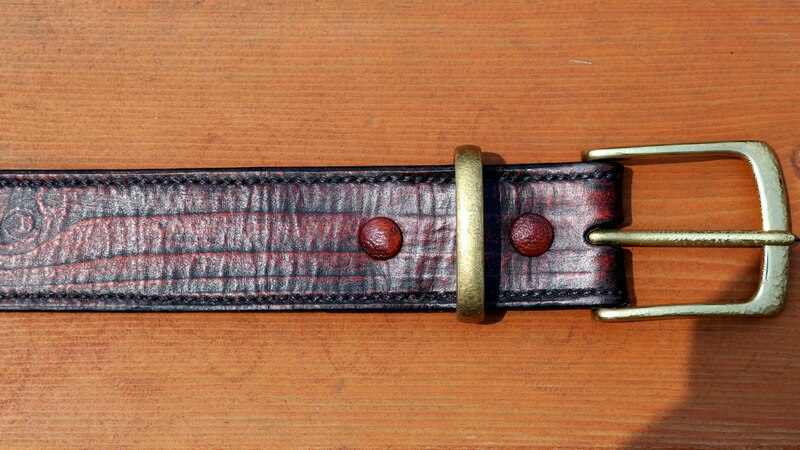 Leather belt, a wood grain design. 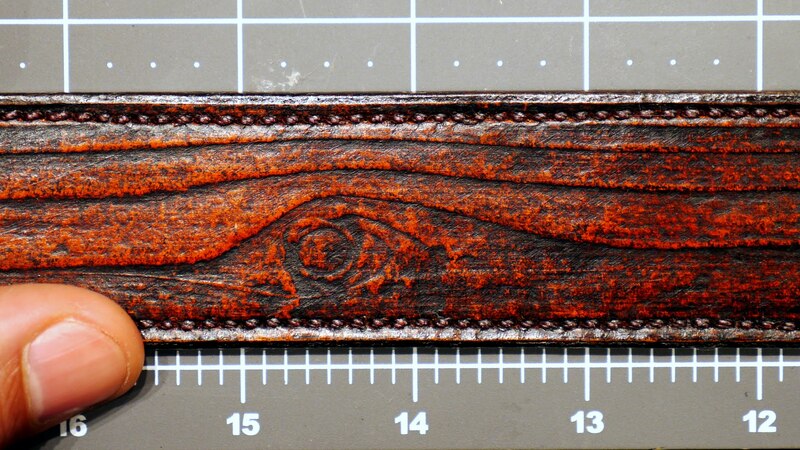 Leather belt, a wood grain design. Hand stitched – saddle stitch 8 SPI (stitches per inch). Leather covered Chicago screws.